When I travel, I love to visit cupcakeries (not a real word, but yum all the same.) Only a few compete with my beloved Dreamcakes located here in Birmingham. Since it's rude to recommend something you may never experience firsthand, let me bring Dreamcakes to you. 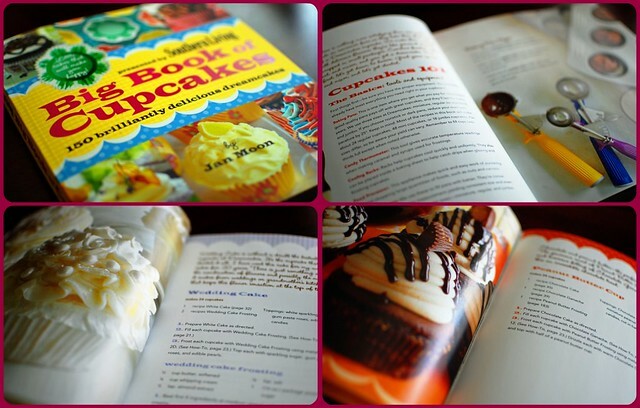 Dreamcakes Bakery owner, Jan Moon, has just published her first cookbook,Big Book of Cupcakes. Stoked about getting the what-for on my favorites like Peanut Butter Cup and Wedding Cake as well as 148 other delights. And my "aha" moment came when I read she uses almond extract rather than vanilla in many of her frostings. It's as if she has pulled back the curtain on her brilliance. My baking guinea pig coworkers are grateful. You know what you've heard about people who love documentaries? Well, those things are all true about me. Let me recommend my most recent favorite: National Geographic's The President's Photographer: 50 Years in the Oval Office. You follow Pete Souza, photographer for Reagan & Obama, and others for a behind-the-scenes look at the everyday grit of the American presidency. In less than an hour, you get wrapped up in the wit and inside scoop of this overwhelming responsibility. Plus, the pictures aren't half bad. 1. Every month, White House photographers take 20,000 to 80,000 digital photos. 2. Every photo goes into the historical record maintained by the National Archives and nothing can be deleted, by law. Also, check out the White House Flickr to see some of the latest and greatest. Recommending Disclaimer: I don't suggest anything because I get it free or because I have some sort of illicit relationship with a baker or President of the United States. However, I wouldn't be offended if I got some sort of discount card at either Dreamcakes or the White House.